Audiences gathered to see the results of Chattanooga's 'Capture' community filmmaking project in 2014. 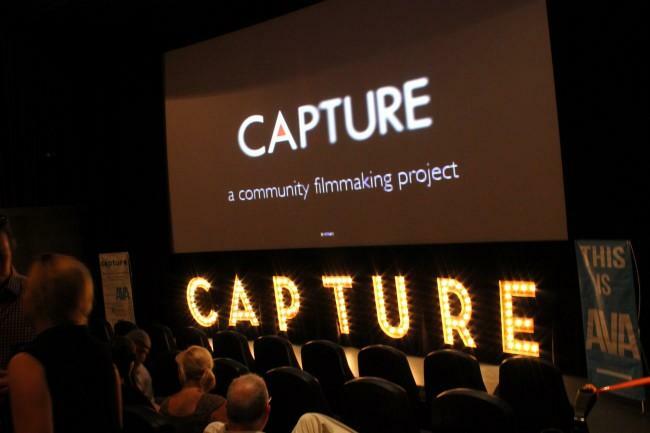 Update, 2:30 p.m., Sept. 17: The Kansas City film office has announced the locations for the Capture community film project's kickoff and screening events. Registered filmmakers will receive their instructions at 5 p.m. on Friday, Sept. 18 at the Union Station Boardroom. The resulting films will be screened, and Best Shot and Best of Show awards will be presented, at 5:30 p.m. on Sunday, Sept. 20 at the Union Station Extreme Screen. In yet another opportunity for fun with fast Internet, Kansas City's videographers, film editors and musicians have been challenged to a 48-hour contest with another gigabit city: Chattanooga, Tennessee. Organizers are describing Capture as a two-day, "crowd-sourced film project" culminating with a watch party. On the line for contestants is small money ($800 maximum) but the prestige of having their work declared the winner by indie director Mark Covino. Late in the afternoon on Sept. 18, filmmakers who register — anyone can participate, from smartphone hobbyists to professional videographers — will learn the event's assigned theme. They'll have 24 hours to upload five 30-second clips based on that theme, and then teams of editors and musicians will download the footage and turn it into short films to premier at a party on Sunday evening. Capture started in Chattanooga three years ago as a way to bring artists together using that city's first-in-the-nation, publicly funded high-speed Internet service. 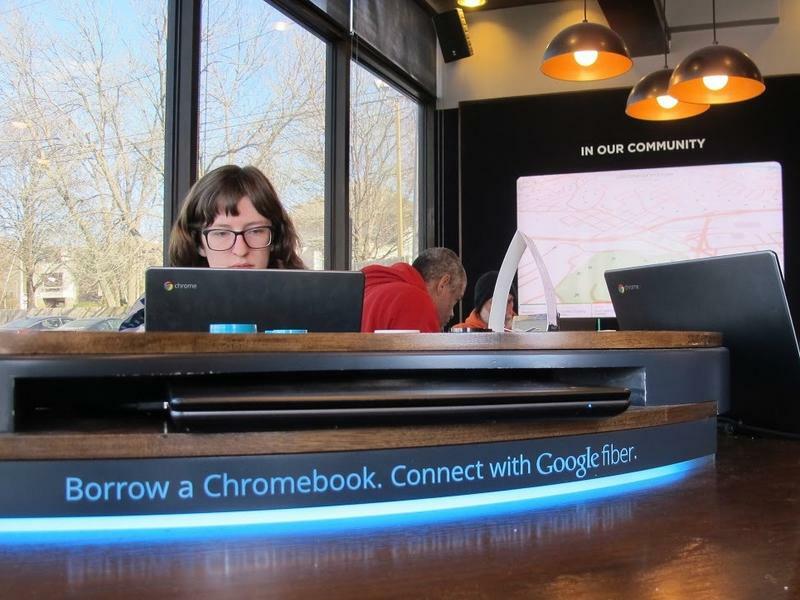 Having pulled off two successful events, members of that city's Association for Visual Arts contacted the community-tech boosters at KC Digital Drive with an invitation for Google Fiber-fueled Kansas City to play along. "Kansas City's a lot bigger and has more things going on, but we're both fiber-optic-enabled cities where files can be uploaded very quickly and shared with editing teams," says Zachary Cooper of Chattanooga's Association for Visual Arts. The need for fast Internet comes in, Cooper says, with the competitive timetable. "Hundreds of video clips have to be uploaded to a server and then downloaded quickly," he explains. But, a cautionary word for locals who've developed a Kansas City swagger in recent years: This isn't about producing images that show off the city. It's about creating something amazing within the contest's theme. "The first year, our theme was 'simple beauty.' Last year's theme was 'light and shadow,'" Cooper explains. And because the editing teams and musicians can choose among the hundreds of submitted clips, a Kansas City filmmaker's footage might end up in a movie made by a Tennessee editing team. A call for editors and musicians is now open, with a registration deadline of Aug. 30; registration for filmmakers will be announced soon. The $10 entry fee goes to paying the editors and musicians. Kansas City film commissioner Stephane Scupham says she's excited about the crowd-sourcing aspect of the event. "Almost everyone has HD video on their phones now, and that crowd-sourced content, layered with the professional editing teams and musicians who'll get paid, is really cool," she says. "Both cities get to show off our technologies and art in a way that’s professional and open to everyone." CAPTURE 2014 Show Reel from Capture Chattanooga on Vimeo. Kansas City has been missing out on valuable economic development – and image enhancement – opportunities by not having a fully staffed film office, but that should change now that Stephane Scupham has joined the Visit KC tourism office as film and new media manager. Walt Disney opened his first animation studio, Laugh-O-Gram, on the second floor of a red-brick building near 31st and Troost in Kansas City, Mo. The business folded in 1923, and the building, due to deteriorating conditions, was almost torn down about a decade ago. But now, plans are underway for the site to return as a center for animation, but one for the 21st century. This includes digital storytelling, experimental animation training labs, and a theater to showcase new work – as well as an upgrade, so the building is sustainable.